This is a mic, essentially. 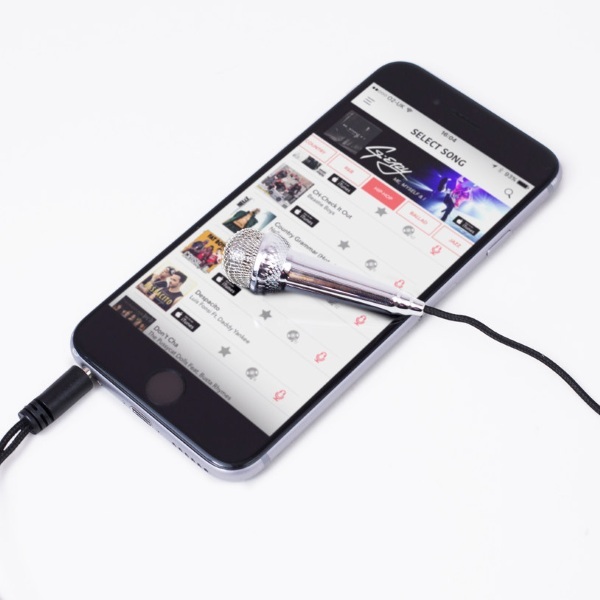 It works with most karaoke apps and comes with an additional jack so you can still listen to your headphones while you belt out your favorite tunes. Or take voice memo, or record notes and other important information. You can also just answer your phone and speak through it. It just plugs in and you’re ready to go. It fits between two fingers, it is quite small. 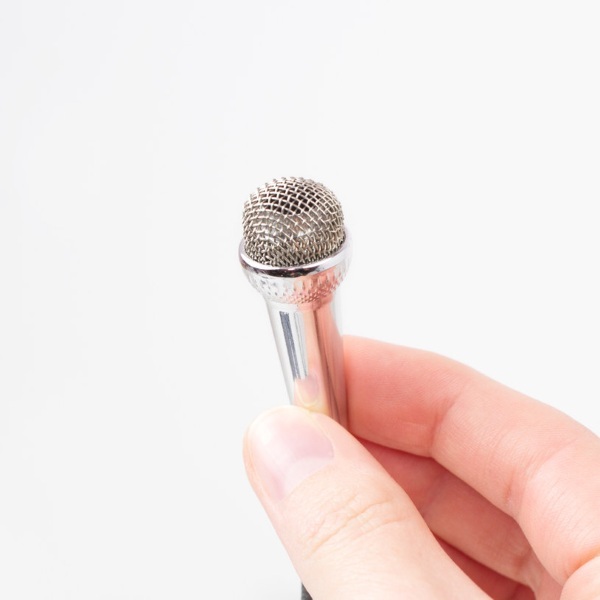 Great for carrying around with you for an instant karaoke party, no matter where you are. You can get this little accessory for $13.29.